My friends and I held a faux New Year’s Eve celebration — complete with party poppers — at Postino WineCafe to make up for the fact that we wouldn’t be together on the actual holiday. I had been craving bruschetta since I tried it at Hanny’s and found that it had too many olives for my taste. I relished every bite of the four types we ordered: apple and Brie on fig spread, warm artichoke spread, smoked salmon with pesto and salami with pesto. (I have a weakness for pesto.) My companion complained that the bread was so hard it cut his gums, but I disagreed completely. (I thought it was perfect.) As I found on previous visits, Postino’s bruschetta can be enough to satisfy two appetites. This time, I sampled the salted-caramel sundae as my second and last course. 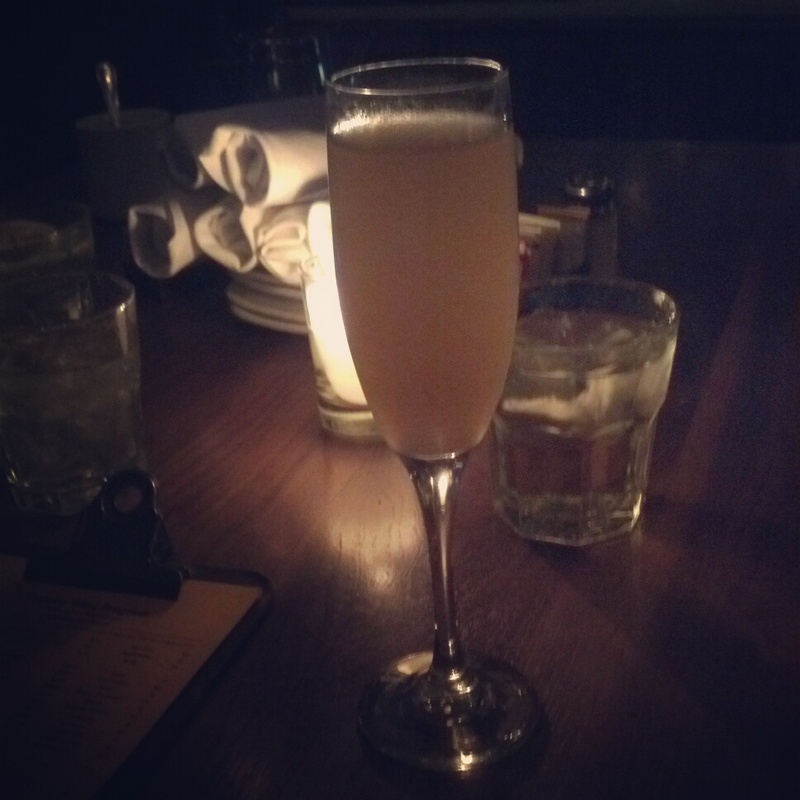 I took advantage of the $5 Bellini special to accompany my meal. As usual, the service was spot on. I’d recommend Postino for any occasion, but especially meeting with friends postwork for drinks, good food and laughs. Get the $20 deal: Bruschetta and a bottle of wine to share. Side note: Why do people call it Postinos? As far as I can tell the name is Postino WineCafe.